Cover is worn and stained. Map is not present. Pages are other wise clean and very readable. 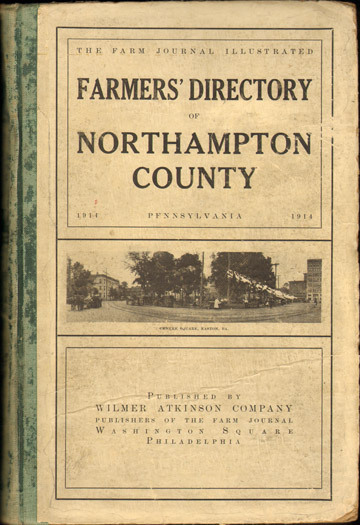 Thousands of listings of farmers across Northampton County, Pennsylvania. Listings also include the name of the spouse. Includes the communities of Easton, Bangor, Bethlehem, Nazareth and numerous smaller locations.